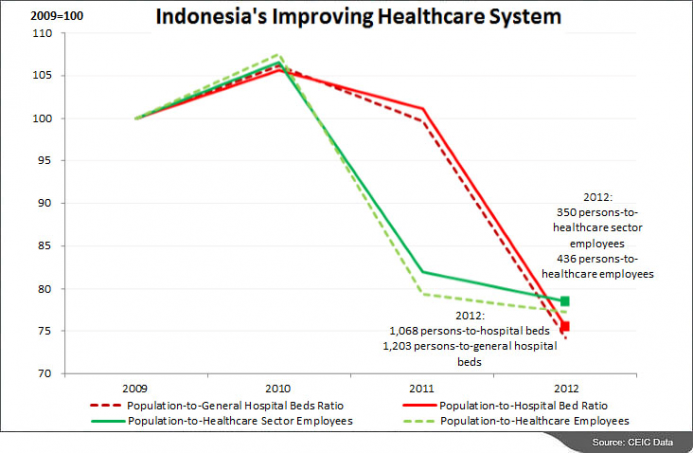 Introduction: The year 2014 has been a landmark and monumental year for Indonesia’s health care environment. The year began with the implementation of Jaminan Kesehatan Nasional (JKN), a public health care coverage program that aims to cover 121 million Indonesians by the end of the year and plans to gradually cover the entire Indonesian population by 2019. In April 2014, Seknas Jokowi, supporters of Joko Widodo, one of two presidential candidates, published Jalan Kemandirian Bangsa or the Route to an Independent Nation which emphasized improving education, welfare and health as the salient priorities if Jokowi, short for Joko Widodo, is elected President. When he became governor of Jakarta in 2012, Jokowi created Kartu Jakarta Sehat or Jakarta Health Card for citizens of Jakarta of low socioeconomic status. This card allows citizens to acquire medical examination, consultation and treatment for free. Jokowi’s recent win in the presidential election of July, 2014 paves the way for significant health improvements in the country. 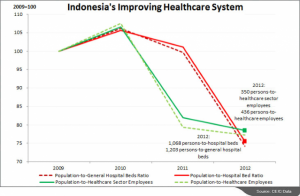 Growing attention towards Indonesia’s healthcare sector also includes Bill and Melinda Gates Foundation’s collaboration with the Tahir Foundation to establish the Indonesia Health Fund, which secures approximately US$1 million to fund vaccines, such as the upcoming vaccine for dengue fever, and to deal with infectious diseases more generally.